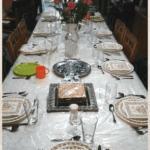 Home » Stories » Has Abraham’s Tent Been Found?! Along the switchbacks of the Alon Road, lonely among the crags and scrub brush of the Judean Mountains, hides the mysterious “Eretz Bereishit” – Genesis Land. Genesis Land takes its guests on a thrilling journey of discovery in the tent of Abraham. 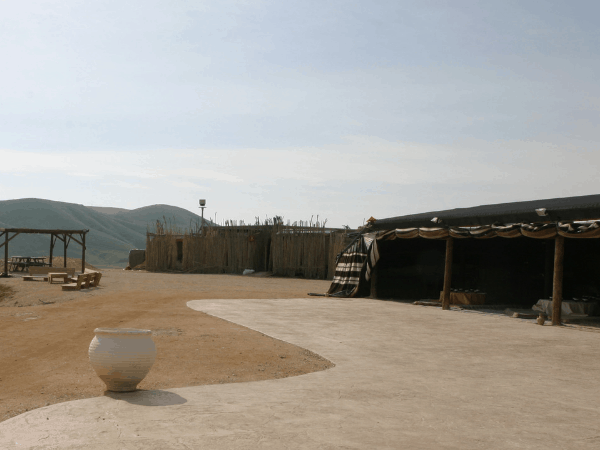 There, guests enjoy “hafla,” ancient hospitality, along the dusty traveler’s road, in the exact same location where Abraham himself pitched his tent with “Beit El in the west, and Ai in the east” (Genesis 12:8). Genesis Land among the Judean Mountains. 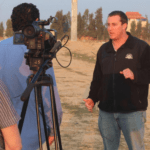 “I was a tour guide,” explained Boaz Ido, who established Genesis Land 26 years ago. Boaz realized that one of the most beautiful and most important stories of the Bible, which took place in this area, was the story of the fight between the shepherds of Abraham and the shepherds of Lot. 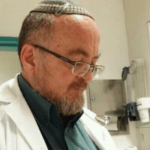 “Walla, G-d has given me an amazing opportunity here, to do something which I truly love, and that is what I will do,” Boaz exclaimed. 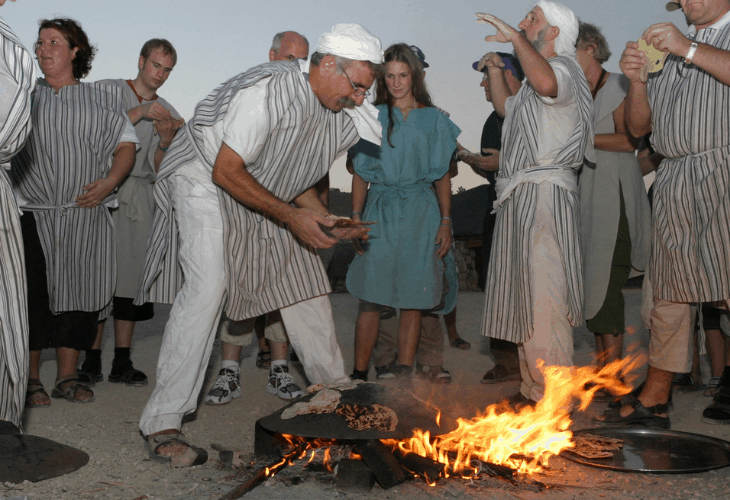 In Genesis Land, visitors live as Abraham lived, and taste the life of the desert dweller. As they enter, they don clothing similar to those of an ancient Israelite, and descend on camelback into the world of their nomadic ancestors. Our forefathers were travelers, wandering the land and teaching others about the one, true G-d. 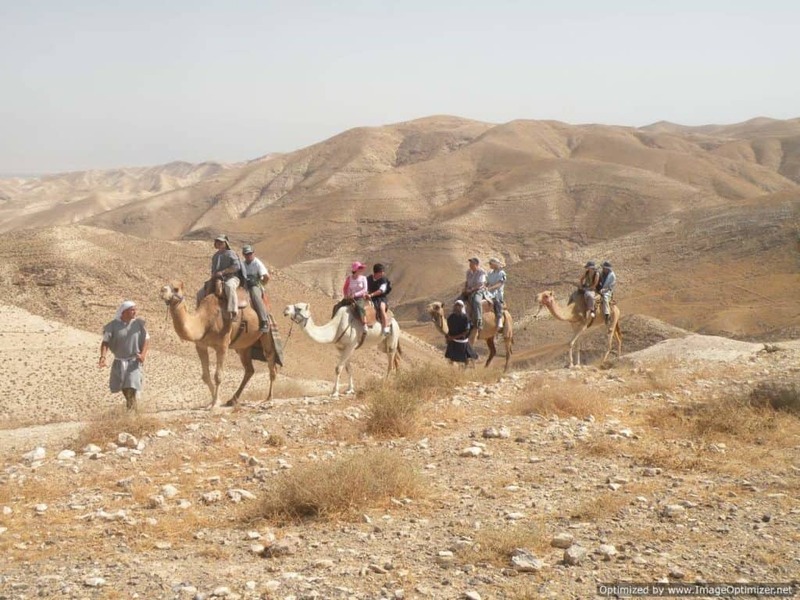 In the spirit of Abraham, Genesis Land invites guests to ride camels along the ridge of the ethereal Wadi Kelt. Back at the tent, guests also get a chance to work with ancient crafts: Boaz welcomes them to form their own tools out of clay and write holy letters on parchment, with a quill and ink. Visitors enjoy a camel ride along the same paths of our Forefathers. Boaz explains that the reason he drew directly from the Bible was because this is really the Jewish story, here in the land of Israel. This is our story! Especially today, when there are people who believe in a two-state solution and want to disconnect us from our land, we are showing the world that we are here to stay. 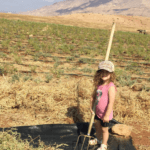 Nothing can break our connection to the Holy Land and we continue to re-plant our roots in the land of our ancestors. Visitors to Genesis Land are welcomed by the character of Eliezer of Damascus (often played by Boaz himself), who was Abraham’s servant, and chief of his household. Eliezer leads them down the hill to an airy, goat-skin tent, open in all four directions to receive guests and travelers. At the tent, Eliezer defers to an actor playing Abraham, who warmly welcomes his guests inside, and washes their hands. Guests get to bake their own pitas over a “taboon” – the ancient Middle Eastern oven used for thousands of years. Then, while seated around low tables in the tent, they enjoy a rich, traditional meal, including dried fruit from the 7 species that Israel was blessed with. 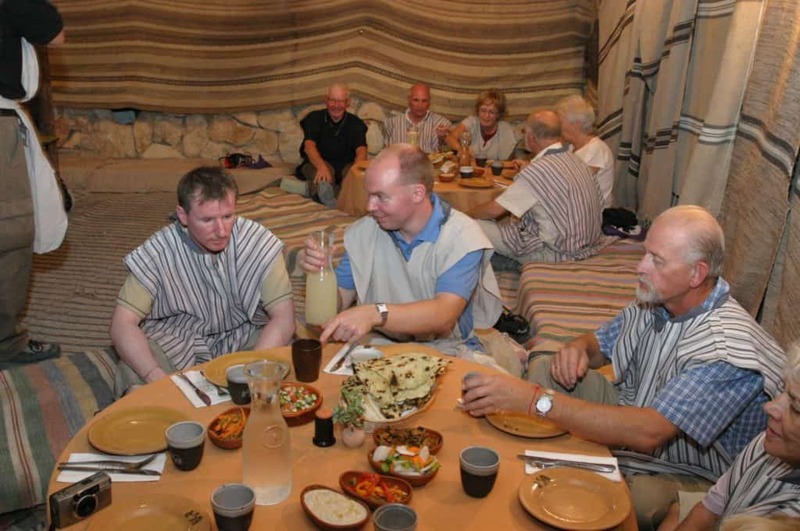 Visitors enjoying a meal in the tent of Abraham. As guests meditate on the stillness of the desert, sunlight floods the burnished land with color, and reveals the stark and breathtaking angles of the Judean Mountains. From the eyrie vantage of the tent, the character Abraham teaches them about the land they see unrolled below them, including the Dead Sea. As he drove his tent pegs into the ground, Abraham founded the ancient tradition of Jewish hospitality which lives on throughout the world. Today, Boaz has renewed Abraham’s spirit in Genesis Land, where he welcomes people to live as he lived, in a welcome oasis in the silent mountains of the desert. 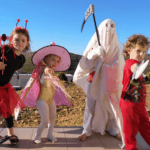 Purim – From Mourning to Gladness!